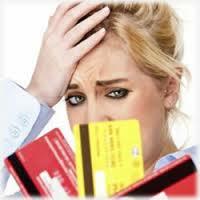 U.S Money just published a good article on Four Mistakes that can Hurt your Credit Score. I’m going to focus on just the first three, because the fourth was simply to routinely check your consumer credit reports. But if you’re not regular monitoring your credit report, chances are that you’ve already caught any of the first three that might apply. Your credit score is important, often affecting areas of your life that range from where you live to how much you pay for auto insurance. More importantly, it usually determines whether or not you’re approved for credit, and could cost or save you thousands of dollars, as it’s often used to figure out how much you’ll pay in interest. …instead try keeping your utilization rate between 1 and 20 percent. This will show lenders that you’re using credit, but don’t rely on it. Your on-time payment percentage could make or break your score. Lenders really want to see that you’re a reliable borrower who will repay debts in a timely manner. Consider this Credit Karma analysis: While consumers in the “excellent” scoring range (750 or higher) typically pay their bills on time 99.9 percent of the time, even the average consumer who falls into the “fair” range (640 to 699) has a respectable 99 percent on-time payment record. The numbers paint a stark picture – paying most of your bills on time isn’t good enough – just one or two late payments could have a drastic effect on your score. Instead … get those payments in on time as often as you can. If you’re the forgetful type, set up a calendar reminder. Personally, I like to pay my bills whenever I get paid (twice a month). That way, I get payments in on a regular basis and know I have the money to back them up. Simply put, racking up handfuls of hard inquiries by applying for lots of credit could make you look desperate for credit – a trait frowned upon by potential lenders. While one or two hard inquiries each year may not affect your score by much, a ton of hard inquiries can do some significant damage. Instead … limit your applications, and try only applying for credit that you need. If you’re looking for the best auto or home loan rate, shop around over a short period of time – within 14 to 45 days. By applying for the same type of credit line each time during that period, some scoring models will recognize that you’re rate shopping and may combine those hard inquiries into just one.